Download: Click Here For PDF file..
All the 16 participant teams are divided into four groups. Each group has four teams. The top two teams from each group will proceed to the knockout stage. The groups were made early in February on 21st. Scroll down and check the group distribution along with group wise schedule of CA 2016. It is the biggest soccer event in America after the 1994 FIFA World Cup, and it can be argued. Jurgen Klinsmann has ended up being in one of the toughest group till date in the tournament. We shouldn’t get surprised if the US ends up last in the group. Here below is the complete Group A matches schedule. Ecuador has earned a total of 13 points out of 18. Uruguay is ahead of it in the WCQ standings. Without Neymar, Peru was able to win some matches last year in the same competition. If Brazil fails to qualify for the knockout stage, then it would be surprising. Below is the schedule for Group B matches. Mexico and Uruguay are the two favorites which are expected to make their way to the next round after the group stage. Then, they will play each other on June 5 in Phoenix. That match will decide the best in the group. In the case of a draw, the final result will be determined by the highest goal differential against the minnows, Jamaica, and Venezuela. Here is the Group C schedule. Group D schedule is listed below.Chile and Argentia are the fan favorites here. A match between the two will be like a rematch of the 2015 Copa America final in which the hosts Chile defeated Lionel Messi and team. After it, Argentina made a comeback and took revenge by winning 2-1 in Santiago in the World Cup qualifiers. This match will pave the way for the rest of the teams. The top two teams from each group will participate in the Copa America quarterfinals which will take place from June 16-18. After the quarterfinals, the teams would get about four to five days before playing in the semifinals. The two winners of the semifinals will fight in the final. The loser team will match for the 3rd spot. 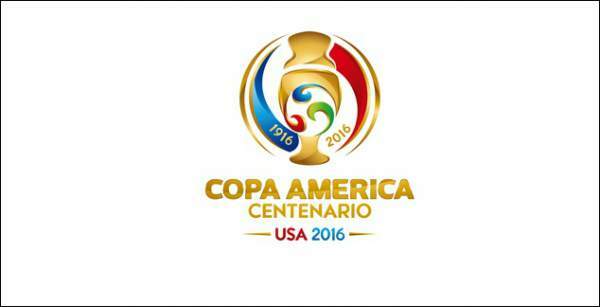 The Copa America final 2016 will be played at the East Coast at MetLife Stadium. Live Stream: FOX Soccer 2Go and FuboTV.